If you want to book your hotel reservation directly and make the most of your trip to Valencia, you can use the www.welcometovalencia.com web site, which features 53 associated hotels and apartments. Special services in hotels (gym, swimming pool, etc.). Marathon breakfast from 6 A.M. onwards. 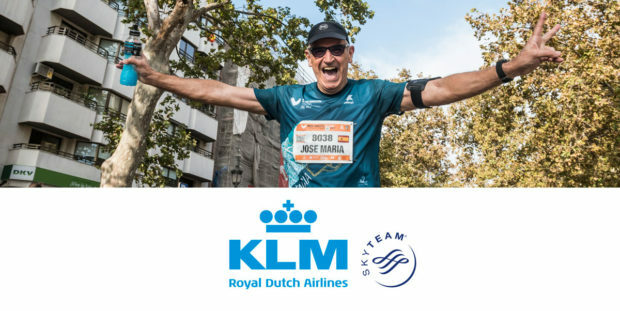 In addition, all the runners and their companions flying to Valencia — ‘The Running City’ — can obtain discounts on flights operated by KLM Royal Dutch Airlines and by Iberia. 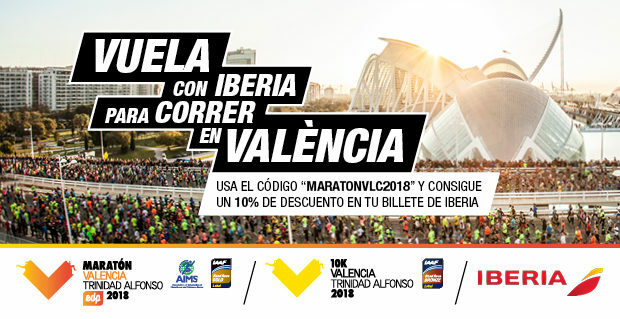 In addition, all runners and their companions flying to Valencia, Madrid, or Alicante between the 26th of November and the 9th of December — seven days before and after the Marathon — will get a 10% discount if they book their flights with Iberia. 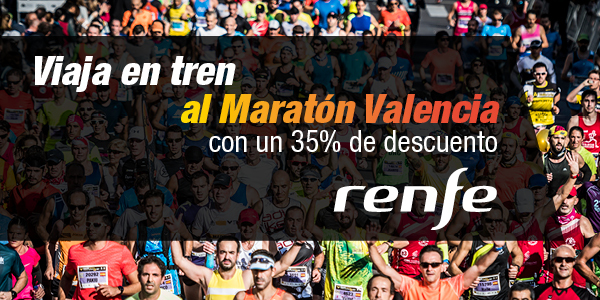 Those taking part in Spain’s best marathon can also get to Valencia — ‘The Running City’ — by train and, along with their companions, receive 35% off the fare for RENFE (Spanish State Railways) for journeys between the 28th of November and 4th December.